DNA tests prove that a skull venerated by many literature lovers as the "brainbox" of 18th-century German dramatist Friedrich Schiller actually sat atop the shoulder's of a very different man, a German official said. Genetic material was taken in 2006 from the skull, kept in a tomb in Weimar, central Germany, where Schiller and fellow author Johann Wolfgang Goethe lived, and compared to material from the graves of Schiller relatives. 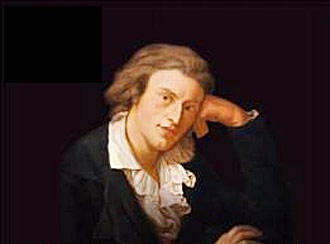 Schiller (1759-1805), who wrote influential plays critical of inequality, has no direct descendants still alive. The skull was recovered from a royal courtiers' mass grave in Weimar 21 years after his death as a cult developed around him, and it was treated for 180 years as Schiller's, based on many points of resemblance to his appearance. "The DNA analysis shows without a shadow of a doubt that this is not the author's skull," Julia Glesner, a spokeswoman for the Weimar Foundation which preserves the German Classicist heritage, said on Saturday, May 3. Adding to the mystery is a controversy over a second skull found in 1911 in the same mass grave, regarded by some as Schiller's. But the DNA tests found it too belonged to someone else.